Staffers will begin exiting as soon as the end of the month. 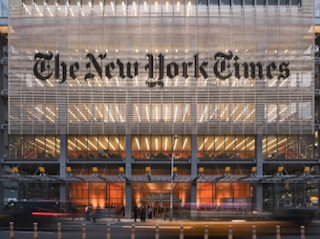 According to the News Guild of New York, 50 New York Times staffers have accepted the latest buyout package from the Times. The paper announced in May that it would be seeking buyouts from staffers as part of a digital restructuring. The deadline for the buyouts was July 15. Some staffers will be leaving the Times later this month, but most will depart between August and the end of the year.